Vivid colors, lush greenery and eye-catching, larger-than-life blooms bring this “Mystic Feather” themed styled shoot to life in an exotic tropical inspired table setting from House of Tales Events! With Kiss Me for Eternity Photography by Thisbe Grace & Co. behind the lens, this jungle-like greenhouse setting was filled to the brim with an abundance of greenery and plant life to set the scene for the delight of a table space. Dr. Delphinium Designs + Events used a variety of floral types, mixing classics like bright-hued ranunculus and fluffy peonies with an array of exotic blooms in everything from the centerpieces to hanging flowers in the trellis style creation above the table. To mimic the bright and cheery blooms, Felderhoff & Co.‘s custom created stationary featured a bright citrine hue with feather details in equally bright shades of green, pink and orange. Taking these vivid hues and adding an elegant touch, Posh Couture Rentals created the unique table setting using the feather details as place cards atop the vintage floral china, featuring a wreath of gold leaves around each setting. We love how even the cake, made by Haute Sweets Patisserie used the delicate feather detailing to weave a bit of whimsy into the setting! Of course, we have to mention our love for the model bride’s entire look to complete the shoot, featuring a plunging neckline beaded gown from Bridal Boutique and ultra-glam makeup with splashes of bold pink on the eyes, cheeks and lips done by WZ Beauty Studio. Such a unique concept brought to life! Cheers! Photography // Kiss Me for Eternity Photography by Thisbe Grace & Co. 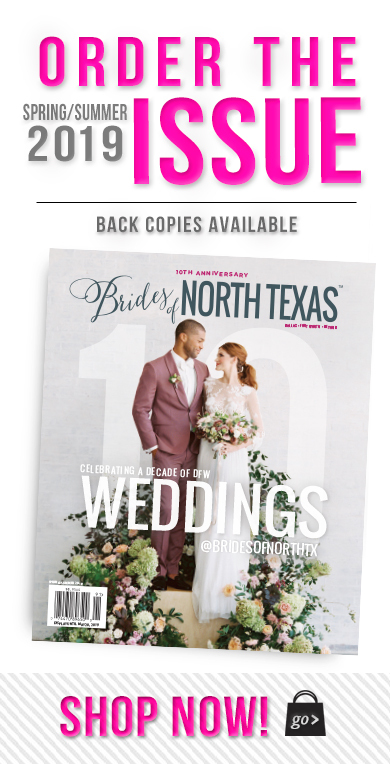 If your wedding dreams include visions of guests dressed to the nines in gowns and tuxedos, dining amidst an abundance of twinkling candlelight and the most glamorous decor, we’ve made you the perfect guide for the best DFW area venues for an elegant black tie wedding! Crystal chandeliers, gilded walls and staircases to marvel are just a few of the photo-op details known to some of the area’s best venues, all waiting to star in the photos from your special day! 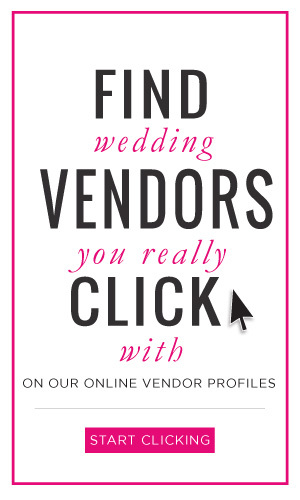 Scroll on for a few of our favorites and be sure to check out each site for more information on booking your own dazzling affair! 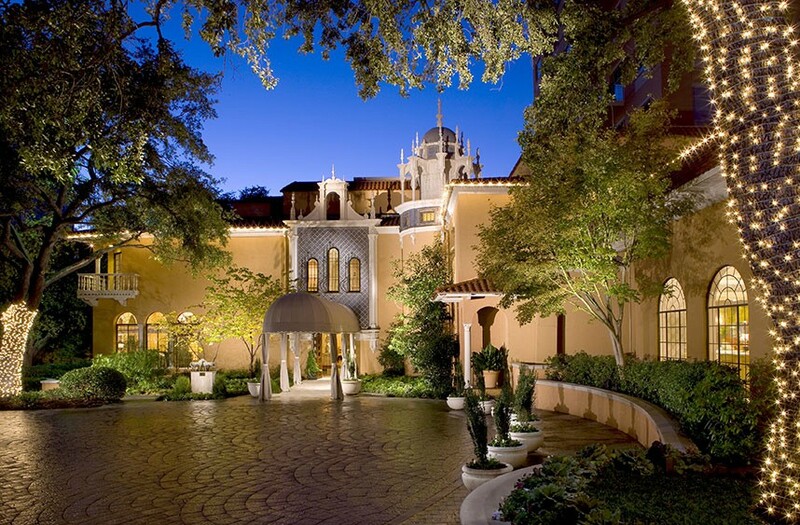 Rich in local Dallas history with a look inspired by traditional 16h century Italian architecture, the Rosewood Mansion has long been established as one of the area’s most sought-after venues for the ultimate luxury look, feel and experience. With the ability to host up to 400 guests, this is the ideal venue for customizing both large and small party black tie weddings for an evening to truly remember! 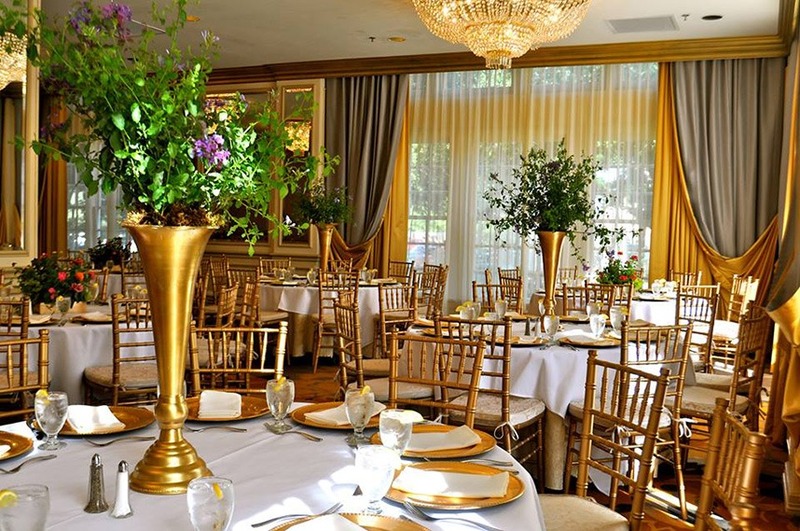 Another historical Dallas landmark, this hotel offers ample amenities with its wedding packages, along with multiple areas within the hotel to create the desired look and feel from ceremony to reception. Customizable packages are available to cater to a variety of budgets, and a gorgeous terrace area promises plenty of photo ops under the stars as well! 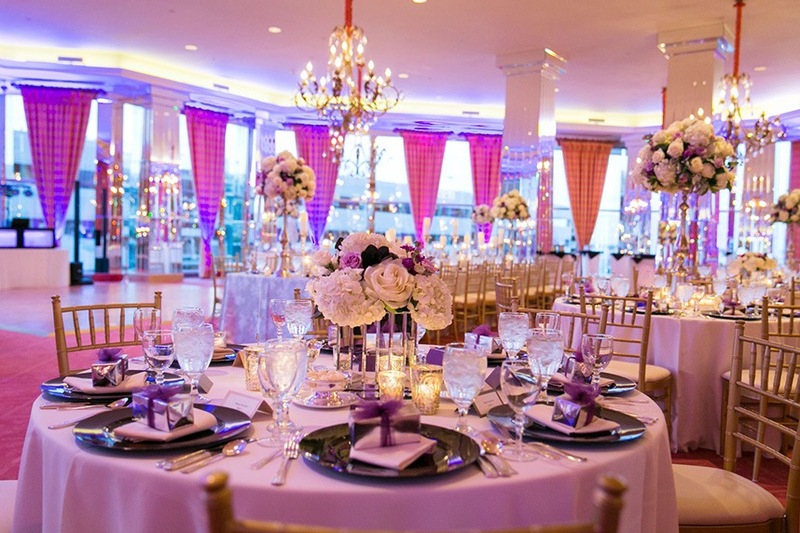 Glittering chandeliers made with over 200,000 hanging glass crystals create the most gorgeous greeting as your guests enter this stunning Colleyvillle venue. Ideal for small to medium-sized weddings, the Piazza in the Village can seat up to 275 guests in the elegant, newly designed chapel. A Mediterranean look and feel with high vaulted ceilings help naturally create an eye-pleasing aesthetic perfect for the most beautifully formal affairs! 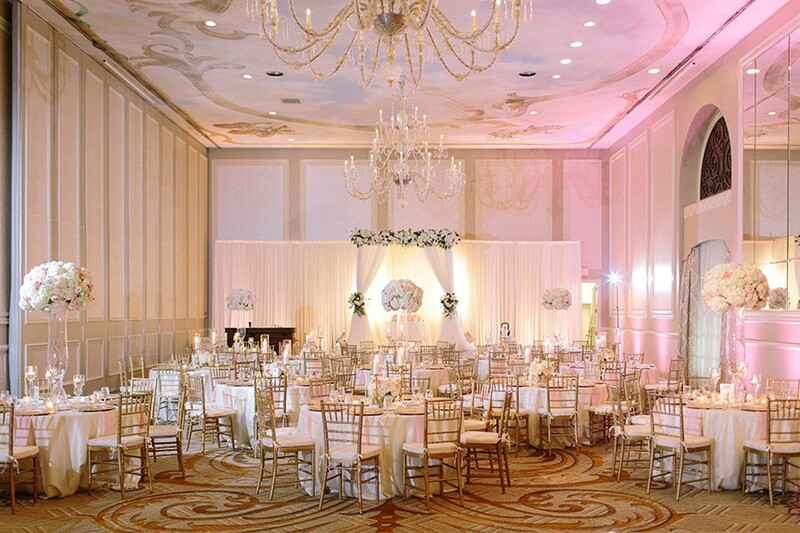 With its long-standing history of delighting guests with the finest experiences from luxurious stays to iconic entertainment (from the likes of the Andrews Sisters, Tony Bennett and Tommy Dorsey), the Adolphus is undoubtedly one of the most famed North Texas venues known for hosting spectacular weddings and events alike. Accommodating to both small and large groups, a team of highly skilled planners and best-in-class chefs are sure to bring even the most wildest wedding detailed dreams to life! 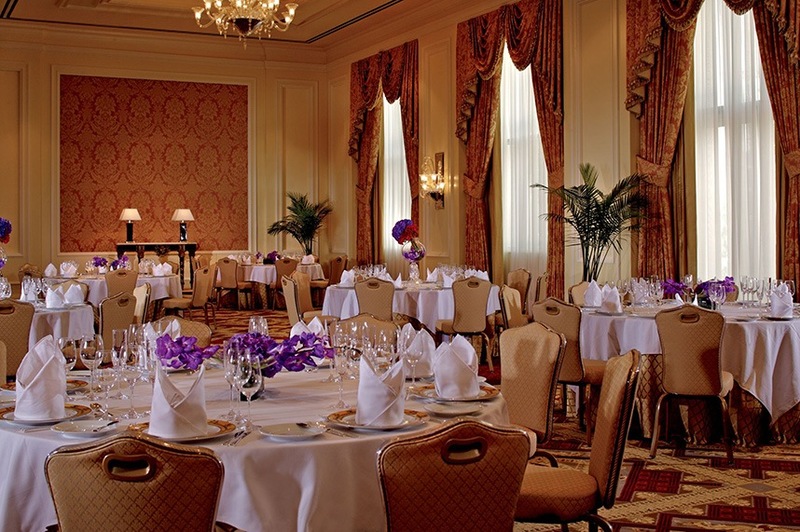 Situated in the heart of downtown Fort Worth, City Club offers pristine services from top culinary and menu creating to in-house wedding coordination. Overlooking Sundance Square, this iconic location allows for ease of transportation for guests and the perfect photo moments for you and your entire wedding party! This picture-perfect Frisco venue features a multitude of areas on the property ideal for hosting anything from small, intimate groups to large parties with up to 250 guests. A team of private events directors are accessible for assistance from conception to execution, setting up the most crucial elements such as floor plan, menu creation and the overall flow of events day-of! 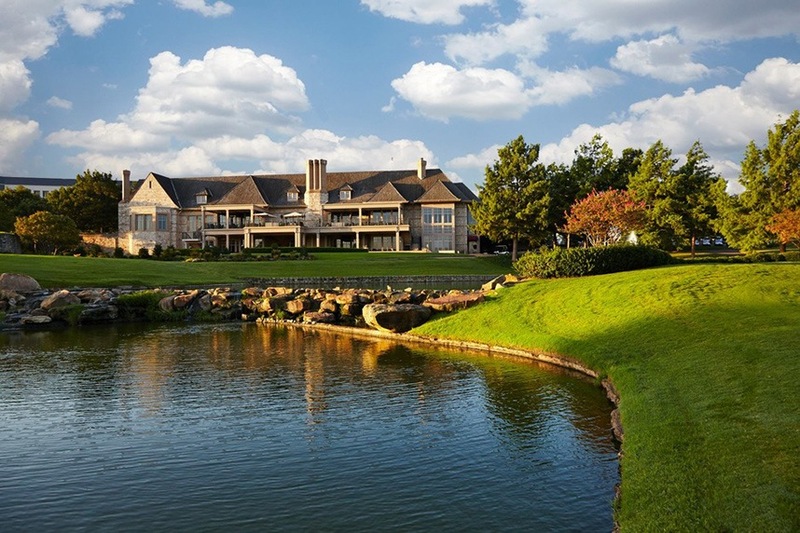 Modeled after famed clubhouses and courses in Scotland, The Tribute is the perfect place for a tasteful European look and feel, mixing old-world charm with a refreshed and modern aesthetic. 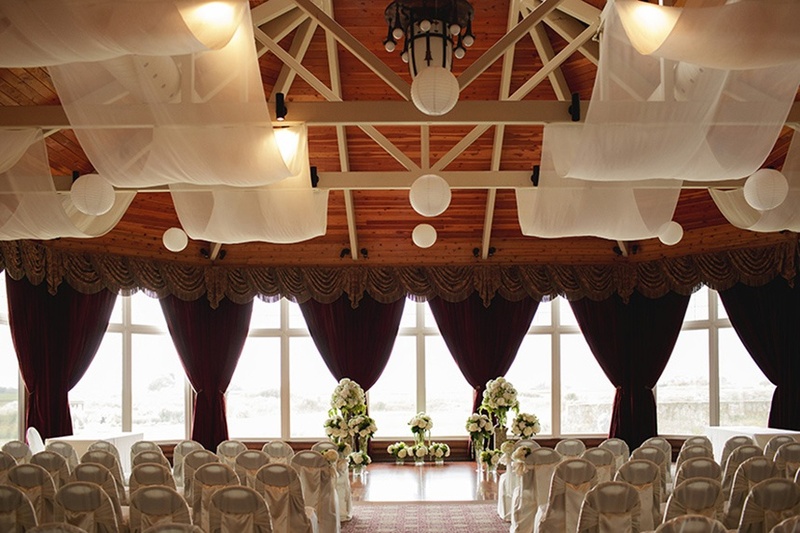 With the capability of hosting weddings of sizes small and large, this club is unique in its on-site suites perfect for the newlywed’s post-wedding stay. Boasting elegance, unique architecture and ample southern charm, The Milestone Denton’s gorgeous mansion property is an easy choice for both indoor and outdoor options. Property additions like the outdoor pond and gazebo and the sweeping, grand staircase inside the mansion make for a marvelous look and feel reminiscent of a southern storybook classic. Located in the heart of Uptown Dallas, customization is The Stoneleigh’s expertise, from menu choices to setting selections. 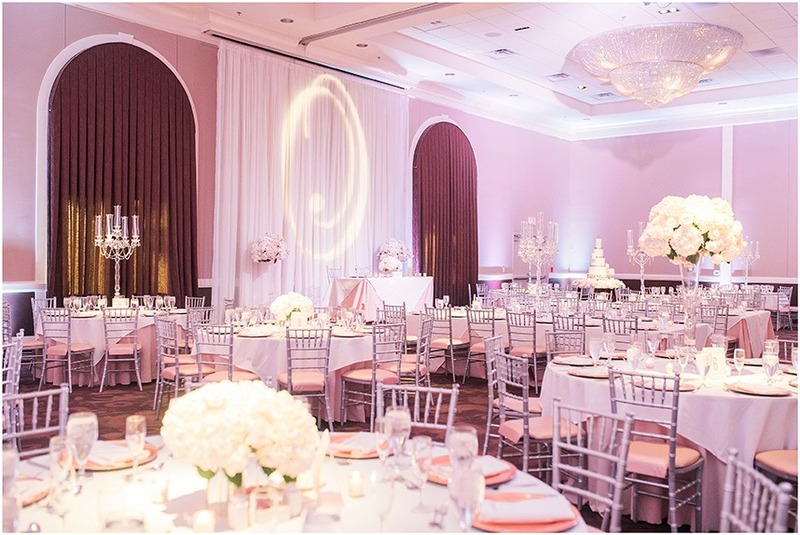 Terraces, courtyards, grand ballrooms and more intimate, elegant spaces promise to create an entirely unique look and feel, with the capability to accommodate up to 250 guests! 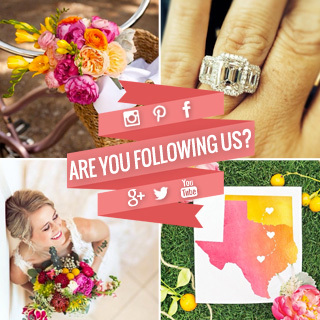 With the highly anticipated season favorite bridal event behind us, we’re taking a look back at Dallas’ The Big Fake Wedding Spring 2018 event and all of the fun happenings from the day’s show! The perfect occasion for brides-to-be to see some of the area’s top professionals in the midst of their craft, this bi-annual staged wedding event allows for attendees to envision some of the details at their own big day! This year’s faux wedding was set at Hidden Pines Chapel, set with a look and feel of a warm and cozy setting. Natural and earthy elements mixed with glamorous decor created a romantic and whimsical-like space. 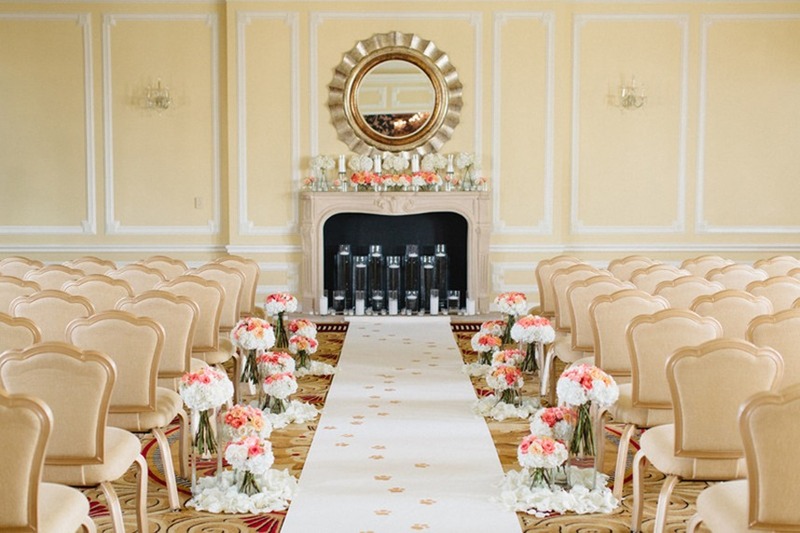 Neutral and earthy tones were used throughout, from floral and decor detail to furniture accents. A plush lounge space welcomed guests with sophisticated yet cozy leather seating and geometric accent pieces from Top Tier Event Rentals. The bride of the day carried a gorgeous bouquet filled with blooms in shades of peach, ivory and rust with natural accents. Playing off the natural and romantic look, towering cakes were created to serve the guests and create a standout event centerpiece by themselves. A full spanning dessert bar were the perfect bite-sized accompaniment to the meal. But if one more sweet craving needed to be fulfilled, fun flavored popsicles were provided as a traditional cake alternative. Straight from the pages of our newest magazine, we’re so in love with all of the intricate and unique beauty looks created for the styled shoots throughout the issue, so we’ve rounded up a few of our favorites here in “Behind the Beauty: A Spotlight on Editorial Beauty Looks from the Spring/Summer 2018 Issue.” From hair to makeup, each lash and wave was crafted to perfection to create the gorgeous looks seen below, all of which will hopefully help you decide on who to choose for your full beauty look on your own special day! Scroll on to read how to get the look from each of these beauty pros and be sure to save your favorites for inspo reference! For a soft and pretty look that is still a bit bold, avoid harsh colors and use a soft palette of mauves and rosy tones. Blend! That keeps everything soft and more natural. Add natural, fluffy lashes to finish everything and make the eyes pop. 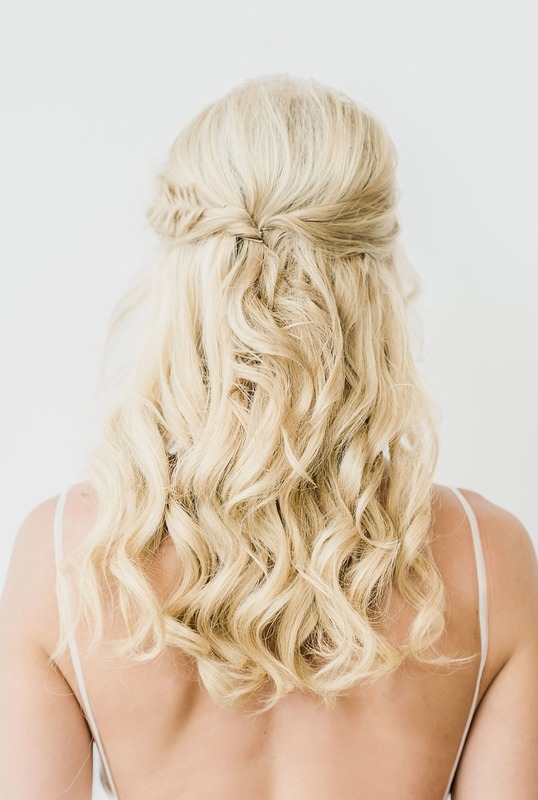 I love a clean hairstyle, but there is something so effortless and romantic about a textured hairstyle. 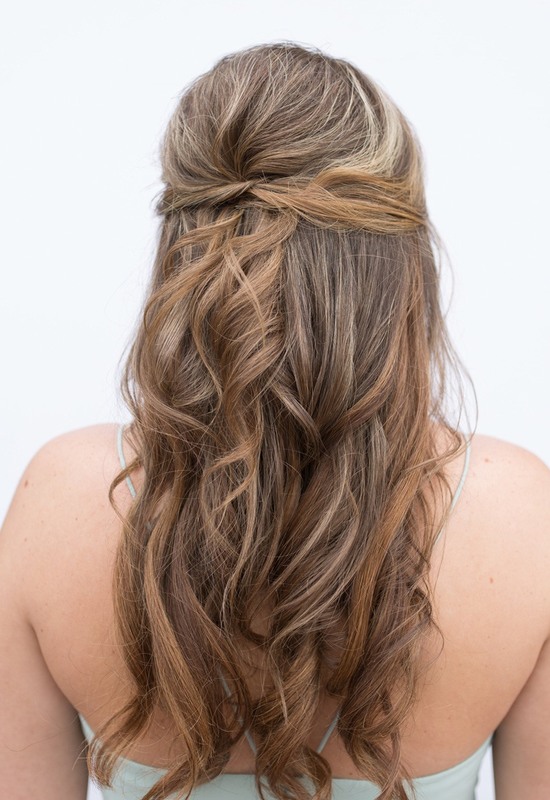 The half up style is versatile and effortlessly pretty and can be worn at any hair length. Use blush tones on the eyes with just a little shimmer. Go with a neutral color for the lip—close to your natural lip color but just a bit more pigmented. For a natural look keep your waves soft and messy. Stay on trend by adding a braid. Brunette? Try this thick mohawk-inspired braid to make it stand out. Neutral earthtone eyeshadows with little to no eyeliner. Add a soft contour to your cheeks. 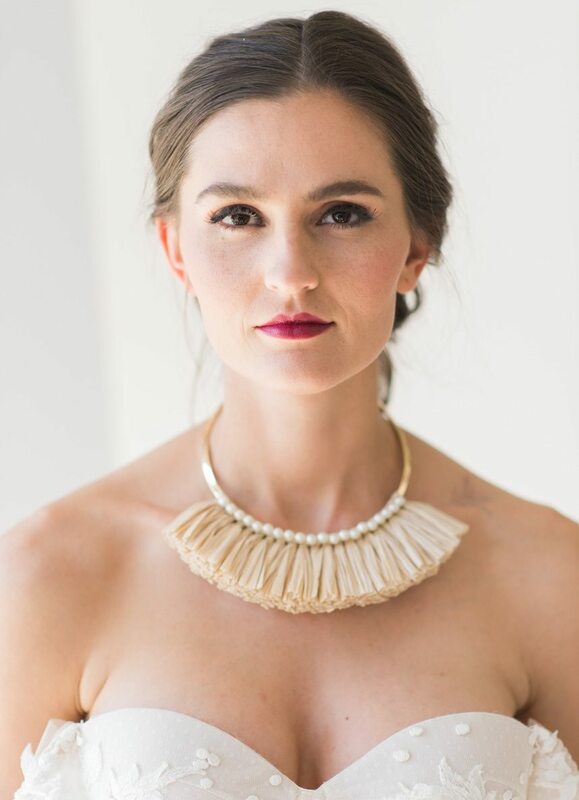 Finsh with a berry lip color for a flirty touch or for a more natural look go with a neutral pink mauve undertone. 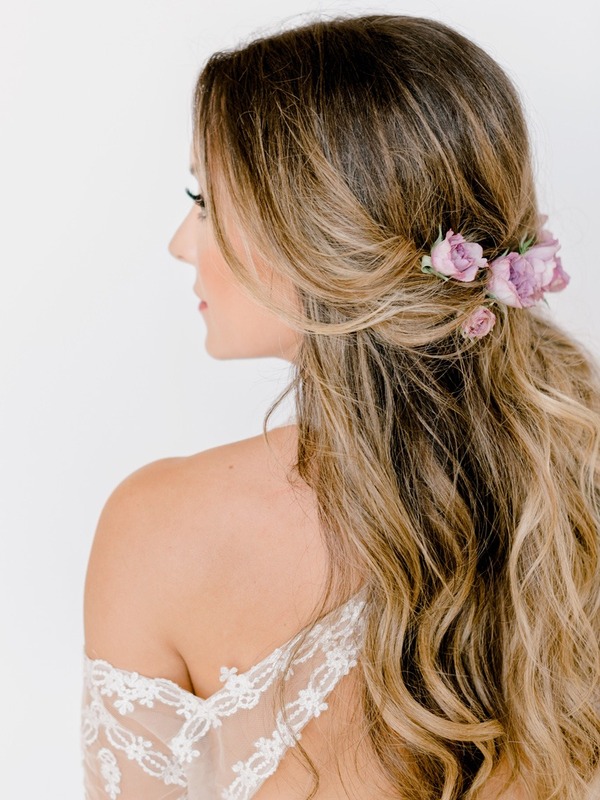 Low, half up do with relaxed modern waves and fresh roses for a romantic touch. Accent the eyes with a bold brow and liner on the top and bottom. On the lid, use rose gold, peach and mauves and apply full lashes on the top lash line to make the eyes look larger. On the cheeks, apply a warm matte bronzer and a peach blush. Finish the look with a matte enduring lip stain. For the hair, try a gorgeous, face framing fishtail brain and low-key beach waves. A wash of matte mauve shadows paired with crisply defined black liner makes brown eyes glow. Enhance the brows with just a bit of brow powder, but otherwise keep them full and a little untamed. Flush cheeks with a warm rosy peach blush and finish the look with berry lips. 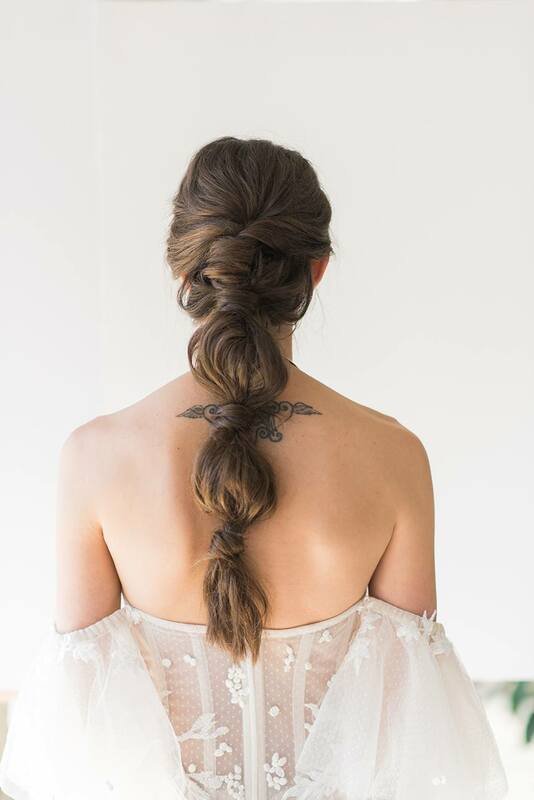 For the hair, start with a tidy center part and add a textured, twisted and wrapped poufy triple pony — an elegantly cool option that’s a nice change of pace from a traditional undo. We’re loving the vivid colors in this bright summer soirée inspiration shoot from Embrace the Day Events! Pairing crisp neutrals with bright and fun tones of pink, yellow and light blue, Amanda Davis of Embrace the Day worked with a team of talented creatives to design this airy and refreshing palette perfect for a spring or summer bride. Against the white backdrop of The RoseMary Barn, statement-making blooms from Lush Couture Floral and cheery stationery and signage from Illustrated Weddings by Lola Lorena really pop! For an inviting and color-filled tablescape, POSH Couture Rentals paired texture in the wooden chargers with clean white plates, elegant glassware and mixed metal decor as an eye-catching addition. Beautiful Event Rentals added the garden-inspired egg wire chairs and a rug for texture, while Meggie Taylor Photography captured the whole setup just beautifully. We couldn’t be more thrilled to share this colorful collaboration!